I have an idea for you. 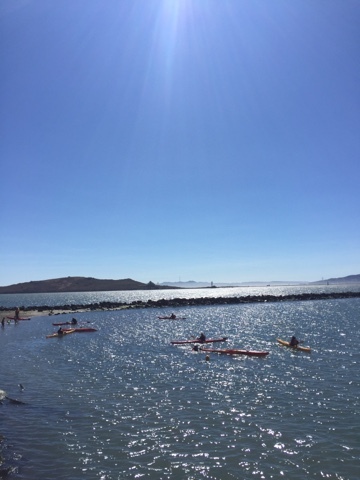 Use the excuse of this heat wave to go explore the Bay. 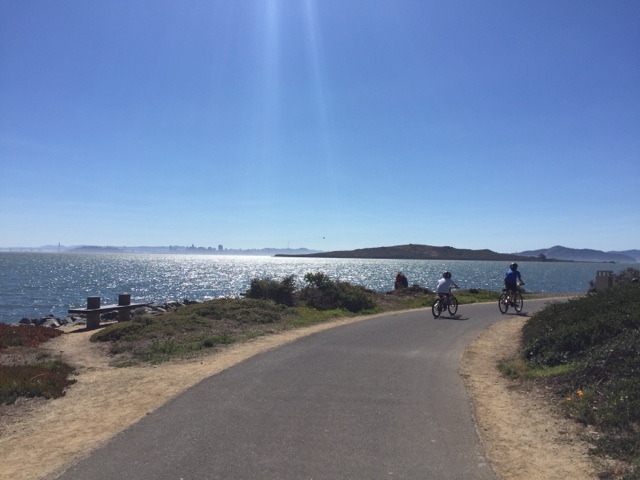 All along San Francisco and San Pablo Bays are parks, beaches, trails, marshes, and other places worthy of a visit. While it's 100+ degrees inland, the wind picks up along the Bay just like an air conditioner. It's warm down there by the water, but it's not oven-like. The breeze is beautiful. 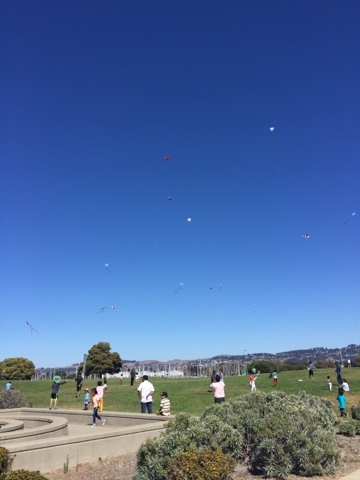 We stumbled across a birthday party at this park where everyone got a kite to fly. It looked like so much fun! And we found this kayaking class where they were learning how to get back into the boat after falling in the water. They didn't paddle anywhere, but kept tipping themselves into the water and climbing back in. 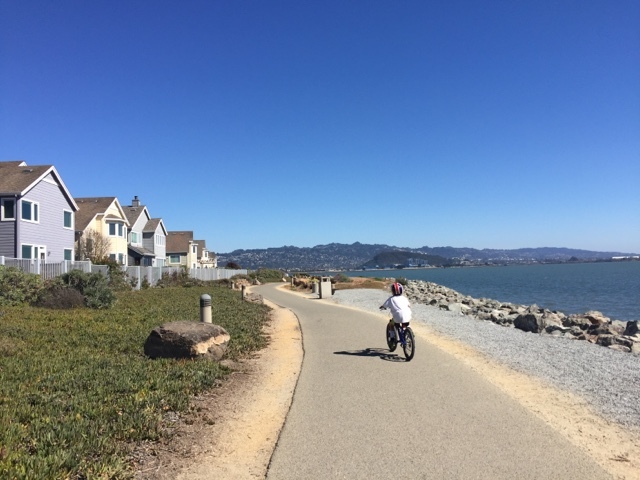 And then we headed south east again, back to Point Isabel. It's flat the whole way and easy for all levels of riders. 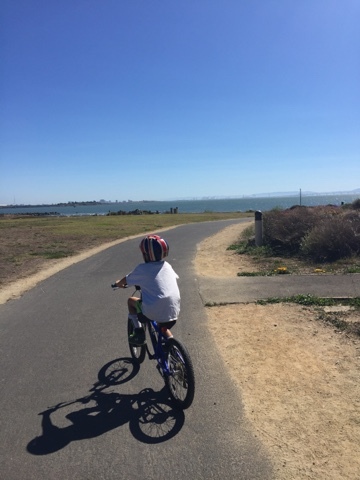 If this isn't your thing, head out to Point Pinole. Or Coyote Hills. Or just go find the water. Just go.